Welcome to Grant Elementary School, where we are getting ready for a new tomorrow! Our school serves kindergarten through fourth grade students in Converse County School District #2. I am honored to be the principal in Glenrock and would like to briefly introduce myself. My name is Debbie Brown, and I have the privilege of serving as principal here at Grant Elementary. Our staff has the honor of working with outstanding students and their families. Our staff is the best you will find—they are focused on the teaching and learning process every single school day. As a team, we strive each day to ensure our students’ days are filled with challenging learning in a fun, safe environment. In our classrooms, we utilize technology that represent the real-world tools our students will use throughout their lives. The high expectations we have for our students means that every school day is centered around the rigors of reading, writing, and mathematics across the curriculum. If you are a parent, we want to thank you for trusting that we are doing the right work to prepare your child for his or her future. If you are a community member, we want to thank you for your support of our school district. 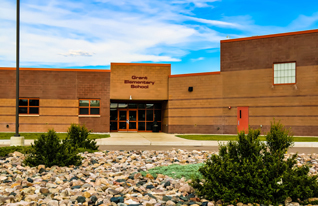 If you are a parent considering relocating to Glenrock, we encourage your family to stop by for a visit and experience for yourselves our great schools.